We boast about how our Head to Toe Body Creme will help all skin types feel softer and look smoother. But we know the list of ingredients can be somewhat daunting. So, we’ve pulled out some of the most important ones and outlined what, exactly, they do for your skin. The gel of the Aloe plant has been used to heal the skin for centuries. 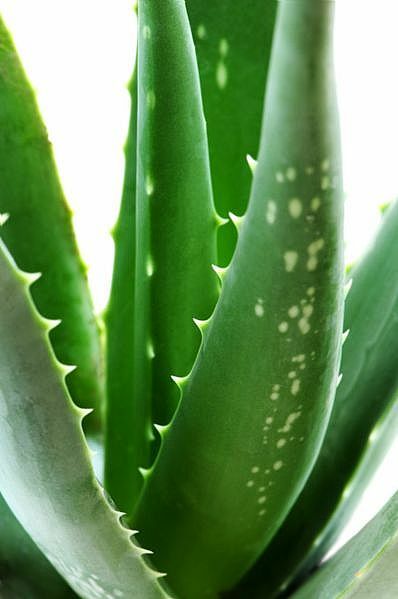 The Aloe Vera plant has been used for centuries as a remedy for a number of skin conditions. This plant holds within its skin a thin gel that, when applied topically, can help heal wounds and strengthen cells by bringing oxygen to the skin. In our Head to Toe Body Creme, the Aloe Vera helps keep the skin moist and healthy. Amino Acids are peptides. There are four main acids that, when combined, form an effective skincare treatment. These four are Proline, Glycine, Leucine and Lysine. Aunt Odie’s Head to Toe Body Creme contains all four of these acids. Together, they will work to build collagen, which is what makes the skin firm. We lose collagen as we get older, which is why wrinkles appear. This formula exfoliates, moisturizes and releases toxins, all the while strengthening the skin, and improving the look of wrinkles and age spots. 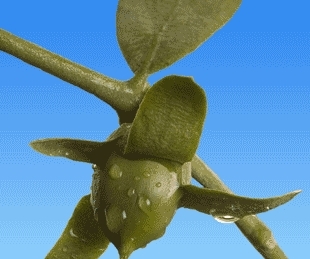 A Jojoba seed pod. The beans secrete oil, useful for helping with irritated skin conditions. Jojoba Oil comes from the beans of the jojoba plant. The beans secrete an oil very similar to the oils produced by the human skin. Therefore, it is easily absorbed into the skin. It is known for helping reduce the signs of aging in skin by promoting the growth of new cells. It’s especially good for people with eczema and other skin conditions, as it will soften and moisturize the skin. There is also an antibacterial component to the oil, so it’s often used to treat acne. Lignin is a complex chemical compound found in the walls of plants. It’s what gives vegetables their crunchiness. In our Head to Toe Body Creme, lignin helps the skin better absorb ingredients.